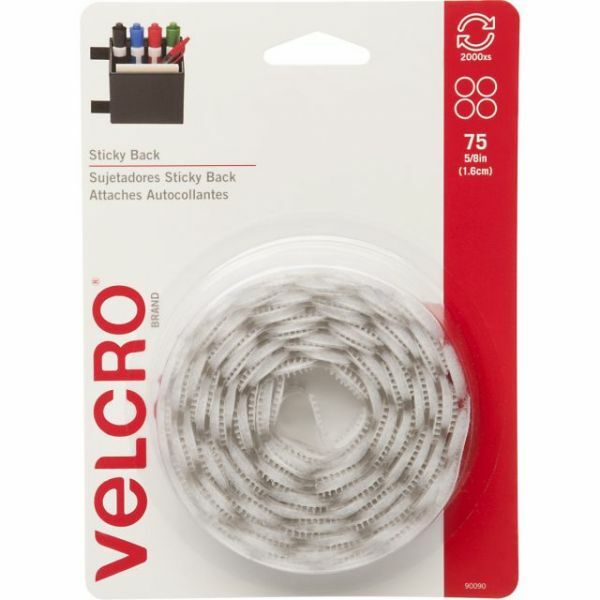 VELCRO(R) Brand STICKY BACK Coins 5/8" 75/Pkg - VELCRO(R) BRAND-Sticky Back Coins. Enjoy a quick and easy way to fix everyday problems. The adhesive will adhere to any smooth surface. This package contains seventy-five sets of 5/8 inch white coins in a convenient dispenser pack. Imported.